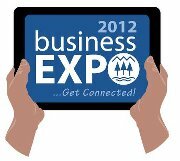 By John_Hamilton on January 30, 2012, 10:18 am Comments Off on Business Expo…Get Connected! South Lake Tahoe, CA/NV…Space is filling up quickly for the Business Expo, the most productive networking event of the year! Register by March 1st to attend the Expo Prep Workshop FREE. Contact Emily@TahoeChamber.og or call 775-588-1728 to reserve your booth.